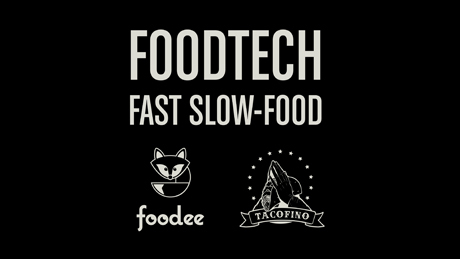 At the recent FUEL Vancouver conference, Tacofino and Foodee co-founder Ryan Spong gave this brief talk that I thought was spot on. He’s giving Foodists permission to share it with you here. What do you think? I’m not an expert in food systems. I put myself through school, like many people, waitering and catering. About five years ago, we started Tacofino, our taco truck. And last year I helped re-launch Foodee, a corporate food concierge based on my experience as an overworked, pizza-fueled and very unhealthy investment banker in New York City. I think technology is fuelling the slow food movement. The restaurant business is tough – margins are very thin. Large fast-food chains – and the “premium casual” chains that seems so prevalent in Vancouver – prefer spending on big advertising and construction budgets than buying sustainable ingredients and paying decent wages. At scale, these tactics obviously create really challenging externalities for society: poverty and pollution. However, technology has been a great leveler. Social media has allowed us to connect with our community, wherever we are. If you’ve been to our Tofino truck in the back of that parking lot you’ve seen this community – surfers of all ages, families and visitors all come together rain-or-shine over shared values: a love of good food, a respect for the process: fast Slow-food. So now anyone with a small stake and talent can short-circuit advertising and construction budgets and start their own following. Food trucks armed with Twitter handles bring prices down and people to wherever they are. Stripped-down honest chefs in beat-up mobile kitchens are displacing fancy restaurants in expensive locations. We send our trucks to places where people are most vocal online – Victoria last year and Kelowna this year. The low start-up costs mean we can pay for quality ingredients and pay our people well. In both of these cases, we were able to establish employee ownership plans. Food trucks were our first step and it allowed us to open a brick and mortar in East Van. It’s very small, with no sign, next to a fried chicken chain. But technology has been fueling a change in every segment of the food chain from farm to fork and back again. In the past year VC’s have invested a record $486mm in Food-tech and last month Grubhub’s $2bn IPO was up 30% in its first day of trading. At Foodee, we connect the city’s best restaurants that don’t deliver to your office. We employ “the mesh” by leveraging our tech stack – social media, wireless and data from any and every available source – to provide our services without the burden of ownership. Zipments, for example, allows us to leverage the growing lifestyle courier segment, so we need NO fleet of catering vans. We work with like-minded owner-operators – Slow-food advocates – to form a virtual caterer. We need NO assembly-line catering kitchens, where underpaid staff stamp out hundreds of sandwich platters. Our partners have smaller, more focused menus. They think about one food item and how to execute it better: the best in the city. Our clients spend less, but get more. But if technology has given us on-demand anything to our doorstep, it’s critical that we are vigilant about not adding carbon to the system as we drive everything around. At Tacofino, we turn our waste vegetable oil into bio-diesel to power the trucks, a re-supply chain we developed at ClimateSmart. And at Foodee, our logistics team correctly size orders to type of transport, so we’re not driving one cooler around in a huge Sprinter van, like you might find in traditional catering. Our system promotes a farm-to-farm cycle where low or zero-emission transport and composting tighten up our carbon “food”print. And because our prices are low, we’ve seen the decoupling of the economic buyer and the user buyer. Once the price is acceptable, the individual is free to make values-based purchasing decisions on behalf of the profit-seeking corporation. How will technology change the way we eat? Last week, the FAA started testing octo-drones for commercial delivery, the California DMV adopted driverless car rules, and Google launched its first driverless prototype. This might seems scary, but I’m optimistic. Technology is fuelling the Slow Food movement. It’s a world where Chipotle Grill is displacing McDonald’s and the Tacofino Commissary line stretches past the fried chicken chain next door. It’s a future where people are excited about and engaged with the slow-food they eat – in parking lots… and in boardrooms. The Summer Of Food Trucks /Delicious on Wheels /Tableland: Documentary film exploring slow food.